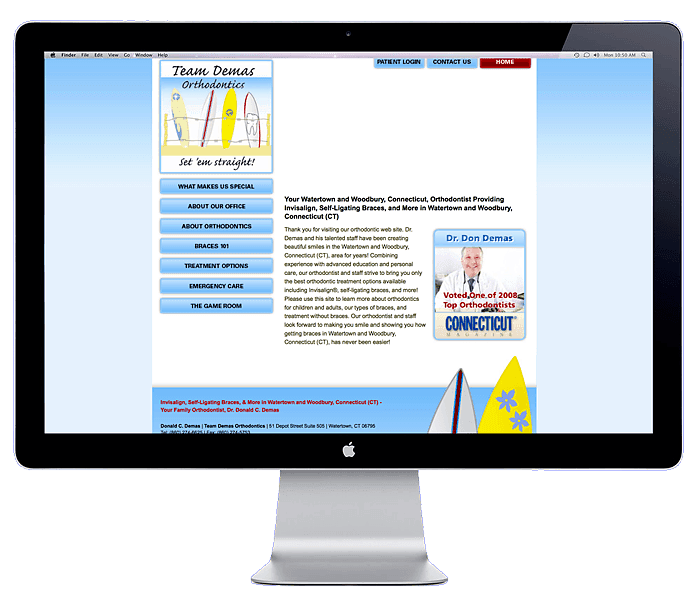 Team Demas Orthodontics is a modern orthodontic practice with 3 offices in Connecticut USA. Team Demas had an existing website that required a total makeover and update. We rebuilt the website with a new customized WordPress theme and integrated their brand colors from their logo. 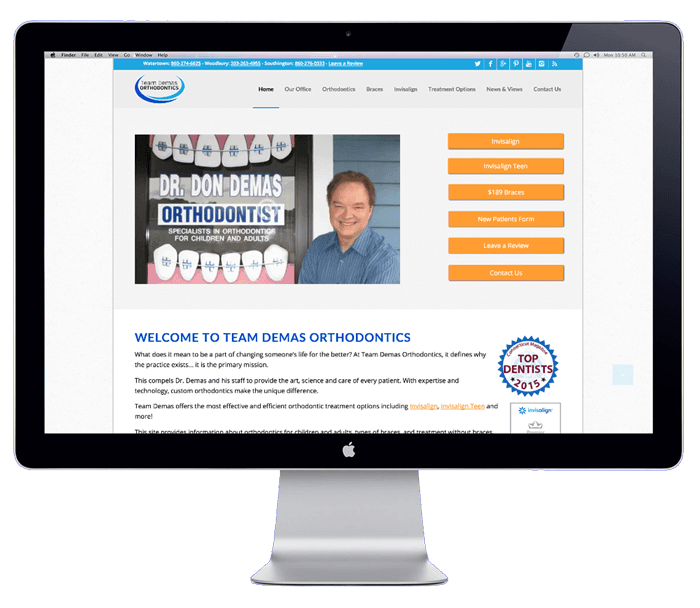 This project was to establish Team Demas as the cutting edge orthodontist in their area by having a strong web presence and recognizable brand.